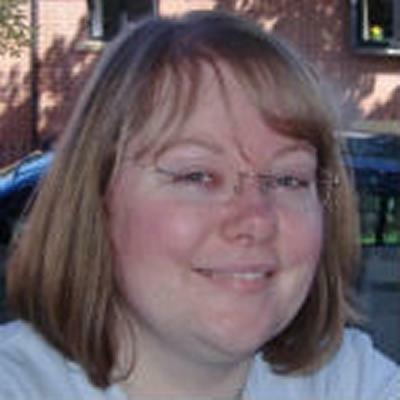 Dr Eleanor Quince is a Lecturer in History at the University of Southampton. Eleanor studied the history of fine and decorative art at the University of Leeds, before coming to Southampton to undertake a doctorate. Completing her PhD in 2003, Eleanor worked as a lecturer in Art History & Theory at Richmond, the American University, in London, before returning to Southampton in 2005. Eleanor's PhD thesis considered the work of Gillows, a furniture-making firm working in Lancaster and London during the eighteenth-century. She was awarded a University of Southampton Archival studentship to enable her to undertake her research and to make use of the Lindsay Boynton archive, part of the Hartley Library archival collections. Eleanor's work has always been interdisciplinary in nature and her resulting career has reflected this: she has taught architectural history to Archaeologists; ploughed through quantitative data to assess the health of research within Modern Languages and Linguistics; set up training programmes for doctoral students; investigated how to help Humanities students at all levels become more employable; and collaborated on an AHRC-funded project looking at the antique trade in the twentieth century. In recognition of her work in the field of educational development, Eleanor has been awarded a Senior Fellowship of the Higher Education Academy. Within the wider University, Eleanor works to further the institution's employability agenda. She is Chair of the University's Employability Strategy Network and an Academic Partner in the Southampton Opportunity project. Eleanor's research interests centre on the object: its design, manufacture, consumption, collection and display. Her work encompasses art and architectural history and theory; the role of women in furniture design, manufacture and consumption in the eighteenth century; the reception, collection and display of cultural artefacts with particular reference to period rooms and the Country House; and the decorative art and antiques market. Funding from the Arts and Humanities Research Council (AHRC) has enabled Eleanor to work with colleagues from the University of Leeds to undertake groundbreaking research into the antiques trade in Britain in the twentieth century. Eleanor retains her interest in educational development, specifically in skills acquisition and enhancement. Recent research projects have focussed on the role of alumni in promoting employability, funded by the Higher Education Academy individual teaching grants scheme, and an exploration of skills self-assessment for first year PhD students, funded by a Fellowship from the Open University. Internal funding has enabled Eleanor to work with the University's careers service, Careers and Employability Services, to establish a student consultancy scheme for the University. Dr Eleanor Quince is working with colleagues at the University of Leeds to investigate the history of the trade in antiques in 20th century Britain. Funded by the Arts and Humanities Research Council, the project aims to map dealerships, identify the objects which passed through their hands, and track the relationship between the trade and public museums. Quince, E., & Medland, C. (2016). Using social media to enhance the peer mentoring experience at the University of Southampton. Journal of Learning Development in Higher Education, 10, 1-14. Quince, E., & Medland, C. (2015). Mission employable: creating a student-led employability strategy for the Faculty of Humanities, University of Southampton. Journal of Educational Innovation, Partnership and Change, 1(1), 1-7. Quince, E. (2015). Revealing a hidden history. RICS Property Journal: Personal Property, Dec2015/Jan2016, 50-51. Quince, E., Pearce, N., & Hatzipanagos, S. (2012). Student use of OER and self-assessment. HEA/JISC Open Educational Resources Study: Pedagogical Development from OER Practice, 1-8. Quince, E. (2010). The London/Paris, Paris/London design dialogue of the late eighteenth century. Synergies Royaume-Uni et Irlande, 2010(3), 47-58. Kelly, M., & Quince, E. (2009). Recent EU policy: a digest. European Journal of Language Policy, 1(1), 79-89. Quince, E. (2007). "This scarlet intruder": biography interrupted in the dining room at Tatton Park Mansion. In D. Arnold, & J. Sofaer Derevenski (Eds. ), Biographies and Space: Placing the Subject in Art and Architecture (pp. 55-72). Routledge. Quince, E. (2016). Voices from the trade: oral history interviews. Paper presented at Antique Dealer Project Conference, United Kingdom. Quince, E. (2015). Harnessing technology for employability: digital literacy skills development in student-led career activity. Paper presented at Techonology Enhanced Learning Conference, United Kingdom. Quince, E., & Medland, C. (2015). Mission employable: student-led employability activity. JISC Change Agents Network Webinar, . Quince, E. (Author). (2015). Tracking the fortunes of the UK antiques trade online. Digital or Visual Products, BBC Radio Solent. Kelly, M., Arnold, D., Brooksbank-Jones, A., Woods, R., Hudswell, E., & Quince, E. (2005). AHRC Review of research in Modern Languages. Swindon, Borough of, GB: The Arts and Humanities Research Council. Eighteenth century British cultural history; the history and development of the English Country House; the architecture and history of London; antique dealers and collectors; the decorative art market and the consumption and display of decorative art objects.